Any one remember this little Canadian screen gem? Good lord, I cried every time I watched that dang show. It perplexed me that “Hobo” wouldn’t stay put and find a forever family. The other day I was musing how some people’s pets when they come to stay with us are truly remarkable in that they just “Move On In!” Their person leaves, and they go park themselves on the couch, like they have no worries in the world. I am not sure if it is that they are secure in the notion that you will return one day or that they just don’t give a damn. For some of our furry companions as long as someone is making sure the food and water dishes are full, that they are getting some stimulation and the occasional acknowledgement of their existence, they are happy. I think in some respects it is a breed thing, in other’s I think it might be a case of nurture verses nature. How an animal copes when their human leaves them with me is always interesting. There are the dogs that come in and run around and seem thrilled to be experiencing someplace new, and then three days in to their stay it hits them “Wait….where’s Bob? Is Bob coming back? I liked Bob…he eats real burgers, not like this lady who eats those blasted veggie concoctions!” There are those that lay by the door for the first day or two, they may pick at their food and sigh a lot, and then they realize just how enchanting I am and become my best friend. Suffice to say, our pets are always happy to see their family when they return, but if they run into me the majority of them will nuzzle up to me and let me know that I am a good surrogate Mom. 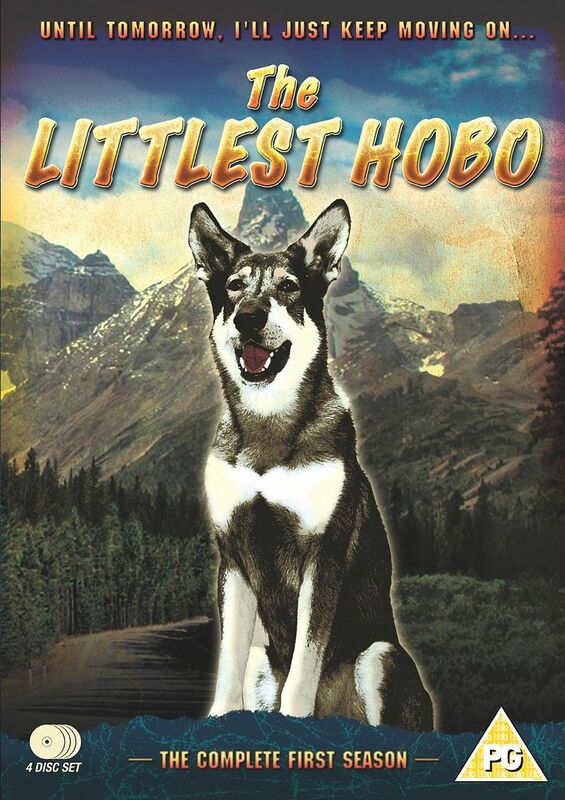 “The Littlest Hobo” was billed as a German Shepherd , but I always thought the dog was a husky mix, whatever the case the dog was very noble and had a sense of wanderlust. We were the third family for our girl Nishka, we would hear stories from the other people how she would disappear for a week or two and then one day magically reappear. Personally, that would make me mental and I am glad that she never took off on us like that for an extended period. As I pottered around the house today I was humming “Maybe tomorrow, I’ll want to settle down, but until tomorrow, I’ll just keep moving on…” I wonder if they will ever bring a show like that back to television… Lassie, the Littlest Hobo…they will fur ever have a place in my heart. Just grab your hat, we’ll travel light, that’s hobo style. We’re almost there, we’ve paid our fare with a hobo song.